INCA Internet's Emergency Response Team's official blog. : Program suspected as a keylogger in Samsung notebook is revealed by misdiagnosis. Program suspected as a keylogger in Samsung notebook is revealed by misdiagnosis. Samsung's laptops have been suspected that it contains keylogger program. But it has been revealed as a misdiagnosis of certain anti-virus program (Vipre). Unlike Google which collected personal information without any agreement, it has been turned out as a misdiagnosis. 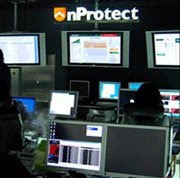 Sources said that Mohamed Hassan, a founder of "NetSec Consulting Corp" found keylogger suspected program through certain anti-virus program and sent related details. Manufacturer said that they resolved about the problem and didn't install keylogger suspected program to get certain information intentionally. This problem will not be emerged all over the world in same model, and because its specification varies depending on its country, they can't sure same problem will be risen. Furthermore, Samsung announced that this was happened as a misdiagnosis one of multi-language related folders of Windows Live Application of MS to malicious program. According to official announcement of Samsung, Vipre had been misdiagnosed "C:\WINDOWS\SL" folder to keylogger and Vipre also admits misdiagnosis itself and posted its official announcement as following link. Overseas' users are sharing how to remove suspected program (StarLoger). It is hard to be found whether malicious purposed program is being installed or not as soon as sealed off for general user. Besides, if owner is using disk cloning program, removing keylogger program installed initially will be more difficult. I don't think they dare to install a keylogger on computer. it would be tantamount to suicide if they did. I would suggest everyone to get a second opinion just to be safe. I have used a second opinion service https://secondopinions.com a few times and will continue to do so. For the time and price its well worth it. Very professional and saved me a bunch of money.They also gave me a coupon code to share “sy15" to take 15% off your entire order which should still work. I recommend getting a second opinion because it can potentially save your life. Personally, I have long been using similar software on my laptop because my child is using it for watching animated cartoons. As for me, I prefer to buy keylogger software at this website https://www.refog.com/keylogger/ cuz there are a lot of discounts on software programs.